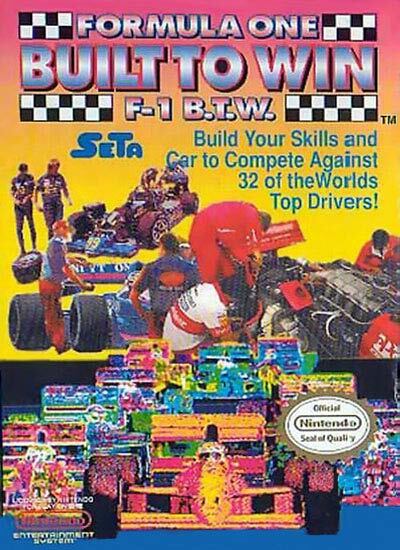 Formula One: Born To Win is a career racing game. The player begins with a Mini Cooper and claws up the ranks of the racing circuit starting with the lowest ranked races in the eastern part of the United States. By winning races, the player can upgrade parts on the Mini and have a better shot at more races. Win enough races and eventually earn the opportunity to race using faster cars. The other cars available in the game are the Vector W2, Ferrari F40, and of course, the Formula 1. The first races take place in New York City, Detroit, and Miami. The other locales to visit are Yellowstone, Denver, Dallas, Las Vegas, Los Angeles, San Francisco, and finally Hawaii. The primary game is the "Normal Mode" of the game. The game's main menu also offers a "Free Mode" which allows the player to freely choose any of the 4 cars in the game to race on a selection of courses, without any obstruction from other cars.